Britain has not fought in a just conflict since the Second World War, Jeremy Corbyn has said. 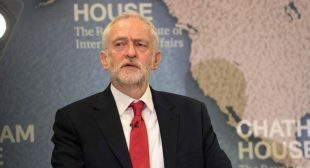 During a speech at Chatham House in London, the Labour leader was asked about British deployment of troops to areas of conflict since the end of the Second World War. He mentioned operations in East Timor and Cyprus, but pointedly omitted a number of key British military campaigns post – 1945, such as Suez in 1956, The Troubles in Northern Ireland (1969-2002), the Falklands war in 1982 and more recently, the international campaign against Isis. He added that the world is “more unstable than even at the height of the Cold War. The approach to international security we have been using since the 1990s has simply not worked”.